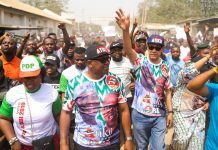 When on May 20, 2018, former Deputy Governor of Osun, Senator Iyiola Omisore dumped the People’s Democratic Party (PDP) for the Social Democratic Party (SDP) to contest the September 22 gubernatorial elections in the state, not many took the former member of the Senate Committee on Police Affairs serious in his shot at clinching victory at the polls. Omisore as a politician, has in his turbulent journey to lead the State of the Living Spring encountered diverse challenges, chief of which was the accusation against him that he had a hand in the murder of former Minister of Justice and Attorney-General of the Federation, Chief Bola Ige, an allegation reportedly levelled against him owing to the feud between him (Omisore) and his boss, Chief Bisi Akande, then Governor of Osun, which had apparently contributed to the death of a state legislator, Odunayo Olagbaju, few weeks before Chief Ige’s demise. Suffice to say that the trio of Ige, Akande and Omisore were all members of the ruling Alliance for Democracy (AD) at the time. 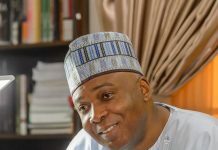 By 2003, the Ife-born politician had decamped to the opposition PDP where he was elected to represent the people of Osun East at the Senate, same seat he secured for a second term in 2007, until his victory at the election was voided by the Court of Appeal in Ibadan in October 2009, over allegations of electoral malpractices and violence, and a re-run election ordered. Having lost the last two elections he contested in his state; the 2011 Osun East Senatorial election which he lost to sitting Senator, Christopher Babajide Omoworare of the defunct Action Congress of Nigeria (ACN) and the 2014 governorship election against outgoing Governor, Rauf Aregbesola, the focus of a lot of people rested mainly on the candidates of the ruling All Progressives Congress (APC), Isiaka Gboyega Oyetola, who is the Chief of Staff to the Governor and that of the PDP, Senator Ademola Adeleke, who currently is the leading candidate by the results of Saturday’s inconclusive election, as declared by the Independent National Electoral Commission (INEC). Prior to Saturday’s elections, few political watchers had predicted a possible run-off, owing to the geographical distribution of the candidates and their popularity, within what can be described as ‘strongholds’ for them. APC’s Gboyega hails from Boripe (Osun Central), PDP’s Adeleke from Ede (Osun West), Omisore from Ife (Osun East) and ADP’s Adeoti from Iwo (Osun West). More so, of the five major contenders among the 48 candidates that stood for the September 22 election, while the APC candidate relied on the incumbency factor and the governor’s popularity, the PDP on the other hand was reliant on its grassroot structure and the popularity of its candidate, a brother to the late former governor of the state, whose family is a household name in the state, leaving the other 3 contenders (including Omisore), though popular in their own right, but with no major might to brag about. And so could not have been taken seriously. This explains why days before the election, there had been reports of a possible alliance between Omisore’s SDP, Moshood Adeoti and his Action Democratic Party (ADP) as well as the African Democratic Congress (ADC) which presented Fatai Akinbade as its candidate, but just at the last minute, the respective parties came out to debunk the reports. Fast forward to election day, to the surprise of many especially supporters of the APC who had thought the election was going to be a walkover for their party, the results declared by INEC proved otherwise as their candidate, trailed by a meagre but decisive 353 votes to rival party, the PDP and its candidate, Senator Ademola Adeleke, who himself was a former member of the APC. 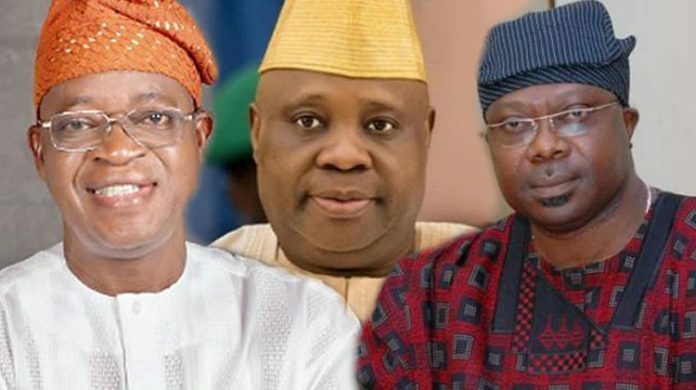 After the collation of all the results from the 30 council areas of the state, the results declared by the electoral body showed that Adeleke of the PDP had 254,698 while the candidate of APC, Gboyega Oyetola, polled 254,345. On the other hand, Omisore and the SDP polled 128,049 votes while the candidate of the ADP, Moshood Adeoti, and that of the ADC, Fatai Akinbade, scored 49,742 and 7,681 votes respectively. However, INEC’s declaration that the margin of votes between the top two candidates was less than the cancelled votes meant that a supplementary election had to be conducted and as such the electoral body ordered a rerun in seven polling units located in Orolu, Osogbo, Ife North and Ife South council areas on Thursday. The development meant that only the top two candidates would participate in the poll for a decider of the winner, and to ‘Omisore’s favour,’ most of the polling units fall within his stronghold especially if his influence as son to Oba David Omisore, the ruler of the Garage Olode, a town in Ife-South, where elections in two units were cancelled, is anything to consider. At the visit of Senate President Bukola Saraki to his Ife home on behalf of the PDP on Monday, Omisore said, “I have given my programmes to both the APC and the PDP. My programme is like this; payment of salaries and pensions. Good governance is what is important to me. While Omisore is yet to make his decision on who he would throw his weight behind ahead of Thursday’s re-run known, it is important to state that the ‘Omisore experience’ has further thrown up a number of lessons for future political discourse and the 2019 elections in particular. 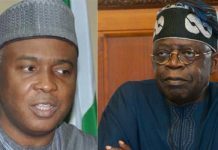 One of these lessons is the fact that the importance of internal democracy cannot be over-emphasised in party politics, hence how would one describe a situation where the PDP in all of its glory would have to court a member of a fellow opposition party, (hitherto considered a lightweight in the contest) or risk losing to the APC, just at the penultimate hour of victory. More so, the candidate of the ADC, Fatai Akinbade, who polled 7,681 votes defected from the PDP to contest in the election. Think of it! Wouldn’t it have been a walk-over for the PDP in Saturday’s election, if Omisore and Akinbade still remained with them before the election? On the part of the APC, given that the immediate past Secretary to the State Government (SSG) who allegedly decamped to contest for the seat under the platform of the ADP, on account of Governor Aregbesola’s alleged preference of Oyetola’s candidature over him. Couldn’t it have been that his 49,742 votes would have gifted the APC outright victory in Saturday’s election? The Osun event has also helped to encourage (ahead of the 2019 elections) Nigerians in the bracket of voter apathy who believe that their ‘one vote’ is in no way meaningful towards deciding election winners. Not many would have thought that 353 votes would separate two major candidates in a Nigerian governorship election, that if that result was upheld as the final result of the exercise, a winner would have emerged, having satisfied the constitutional requirements. There is also no gainsaying too, that this Osun debacle has again thrown up another constitutional question as to which should be upheld in a situation as this, between Section 179 (2), (a) (b) of the constitution which directly prescribes that “a candidate for an election to the office of Governor of a State shall be deemed to have been duly elected where, there being two or more candidates – (a) he has the highest number of votes cast at the election; and (b) he has not less than one-quarter of all the votes cast in each of at least two-thirds of all the local government areas in the State. Thankfully, the PDP who stand to be a major beneficiary in the scheme of things has approached the court for interpretation. The most important lesson however from the events of these few days, is the fact that if parties with light but considerable weight explore the option of coming together to form formidable alliances, then the story of the 2019 elections when written will eventually be one full of upsets.